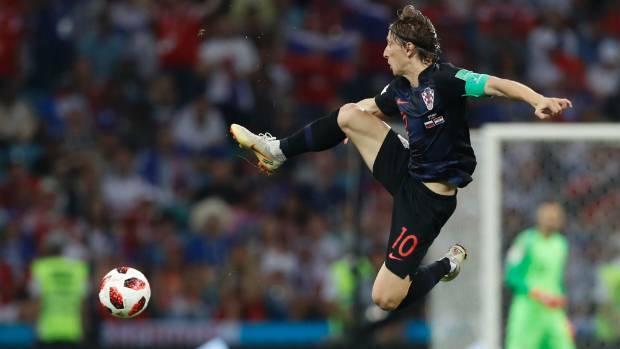 Dalic: Modric Playing His Best Football In His Last World Cup – Royal Times of Nigeria. Croatia coach Zlatko Dalic is excited to see Modric playing at his best for the Vatreni in his last appearance at the FIFA World Cup. Modric has been tipped to win the Golden Ball award at the ongoing 2018 FIFA World Cup in Russia having been named man of the match in three of Croatia’s five wins so far. Dalic revealed that the performance of the Real Madrid star has spurred his teammates to give their best. Croatia will face England in the second semi-final match at the Luzhniki Stadium for the right to take on France in the final. Les Bleus beat Belgium 1-0 on Tuesday. In a statement, Dalic said Modric has been showing his quality for many years. He also said Modric has achieved everything possible at club level but hasn’t done so for the national team. And given his age, this was possibly his last World Cup and he is very glad he is among the last four at the World Cup.